So my 30 yo avocado lost all it's leaves this past winter in Brazil, and it never came back. Not sure what caused its demise, but I want to plant some new ones. 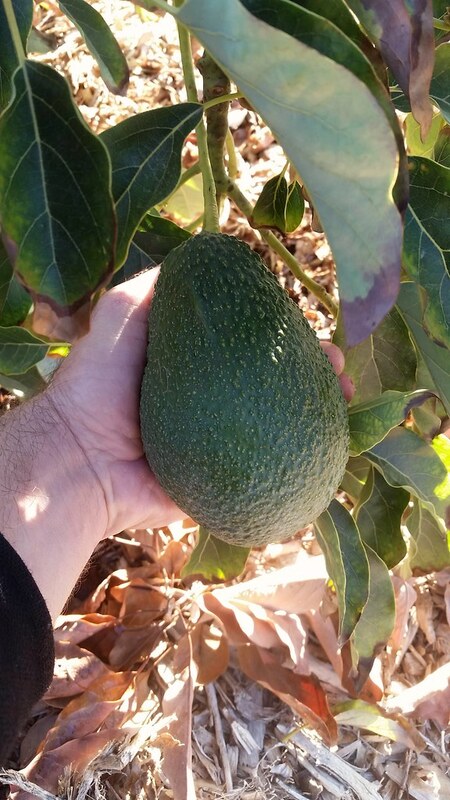 I still have a small avocado about 8 feet tall that I want to top work as it was just a seedling. 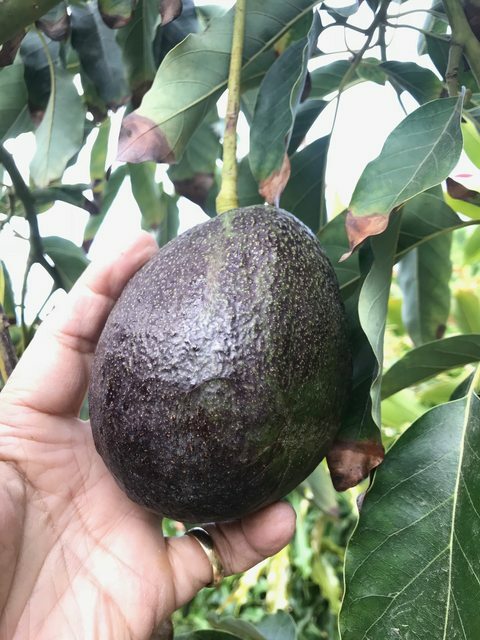 Because of my heavy rainfall and humidity, I think the Florida avocados would do better in my climate. Can anyone shed some light on this and maybe suggest which cultivars I should graft? My temperatures rarely go below freezing, but it still is possible. I am an American from California with a small farm in Southern Brazil. Sou americano na Califórnia e tenho um sítio em Brusque, SC. Follow up on my green sir prize. It turned black and got soft and tastes great. Yes it will get better but its better than anything we can get at the store or market. Notably better than the bacon and fuertes we have been eating. We will continue to pick them every few weeks to see how they progress. Nice job! Your opinion, I have one that is about 90% black. Time to pick? I only let this new tree hold 5 so don't have much wiggle room for experimenting. The few Holiday I left are huge. 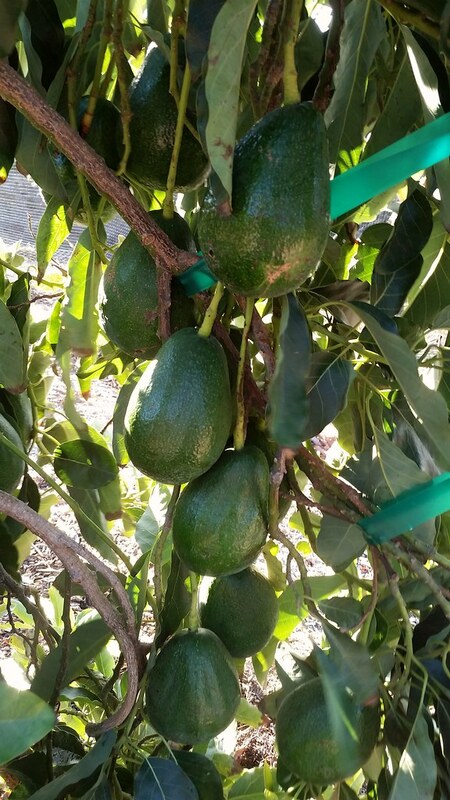 Are the avocados in your greenhouse hand-pollinated or pollinated by insects? I would be patient , whats the hurry, let it hang on the tree as long as it can for full flavor. Believe I’ve been harvesting sir Prize for a while and you want to wait. One is about 95% black. OK, will let it hang. There's no rush. Was even thinking about letting one drop just to see what that's all about. All my greenhouse fruit is pollinated by hundreds of visiting pollinators Greg. Every kind of specie of bee, moth, butterfly, wasp, and some really wild looking flies. Flies really like the Gwen cado for some reason. Perhaps ol Gwen needs a shower. Wow, Holiday is a big fruit. One on the right has gotta be going on 2 pounds. I'll let them go for another 8 mos. Thanks Mark. Speaking of Gwen, mine is flowering right now, more and earlier than any of my other avocado varieties. Same for you? Yea, let them drop those look ready but if they want to hang on let them. Holiday is a good size fruit but production has been inconsistent for me. I’m patient so I’ll just let the tree mature since it does take too much space. Because of our rather cold winters nothing but a key lime flowers until spring. We've got a chance of snow come Wednesday night! YESSSSSSSSSSSS! I also use skin gloss as an indicator. Have never noticed but I'm wondering if another indicator might be some lignifying (woodiness) of the stem peduncle right next to the fruit. With grapes good hang time, maturity, is often indicated by browning, lignifying, of the cluster peduncle along with other factors - brown seeds that crunch in the teeth, brix of 22* plus, etc. I bet there is a difference in seed coat color for many fruit too. It's my understanding that Holiday (being a sport of Reed) needs a good 14 - 18 mos. of hang time. Am shocked as to how fast the Sir Prize matured from a blossom set in Feb./March. Wind has been beating my trees up the last few days. Here we are in December and have wildfire conditions and santa ana winds. Went to look at the damage to the trees and had some hass fruit laying on the ground. Everything else is hanging tight. Snapped some photos of the fruits we are patiently waiting for. 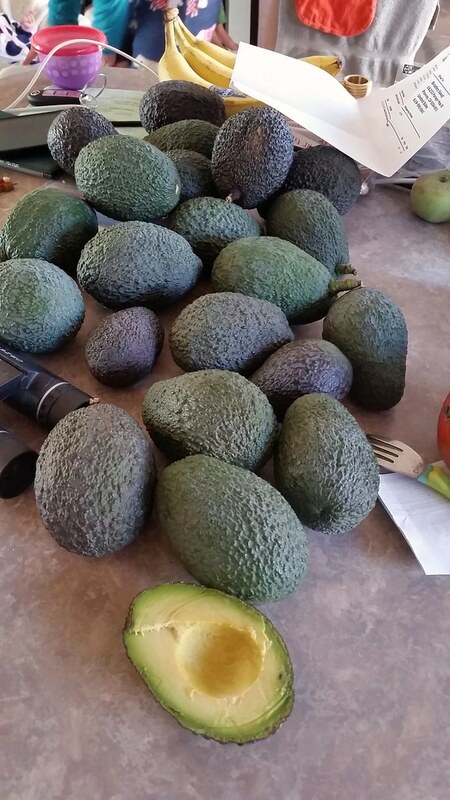 Wow, you Spaugh and Mark got very desirable collection of Avocado varieties! The strong santa ana wind is knocking fruit off my trees today. Sadly these would have been much closer to ready in 3 or 4 months. Based on what we're witnessing on the news, you're lucky you have a home. It just makes us sick to see what's going on in SoCal. Having said that, the fruit look amazing. 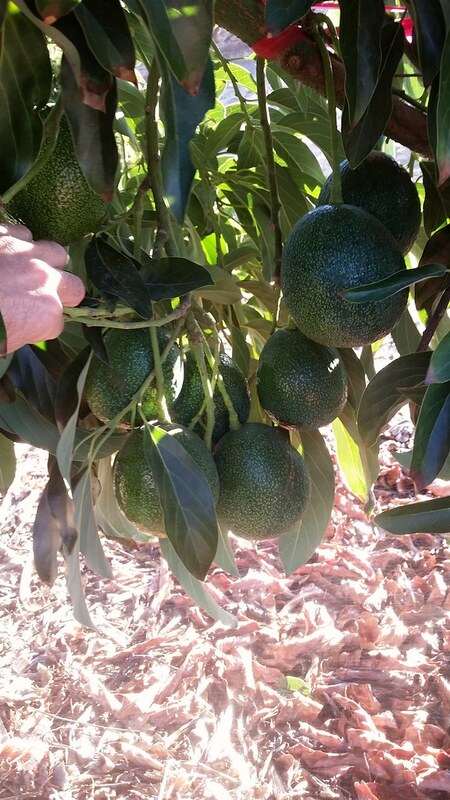 Check out this article that talks of seedless avocados. Do you think they're referring to Fuerte cukes? 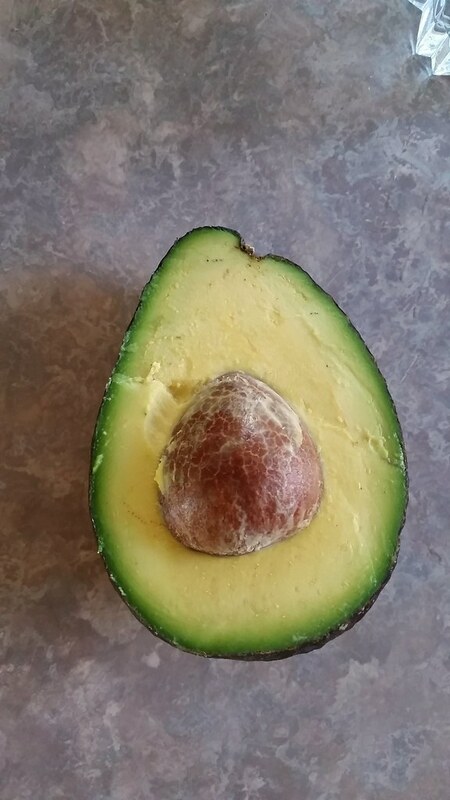 And my gosh, do the Brits really find it that challenging to cut open an avocado that has a seed? 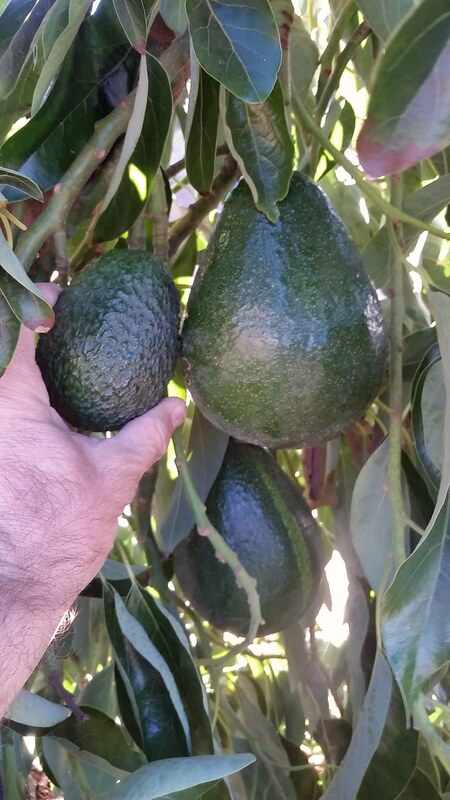 Was worried these hass fruits that got knocked off in the winds would not ripen but they are excellent. Better than the fuerte, bacon and sir prize fruits for december(same year fruits). Better than store cados. Cant complain... The trees are still loaded with fruit but about 20 of them got blown off 1 hass tree. 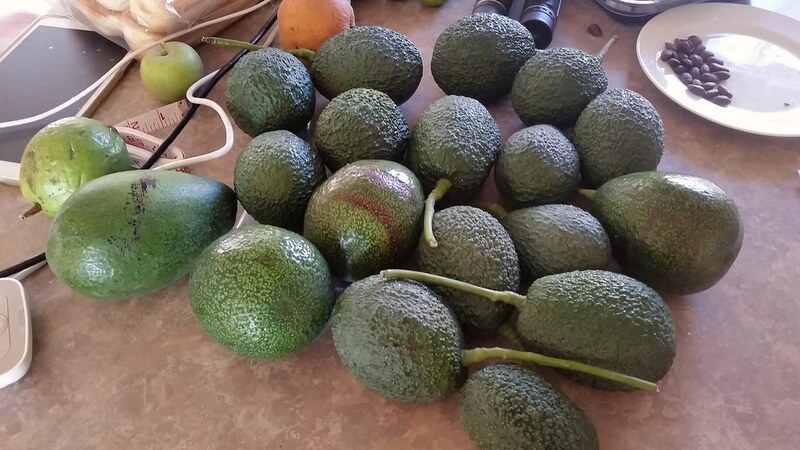 Amazon harvest Spaugh, time to make avocado smoothies! Damn, speaking of a branch breaker!